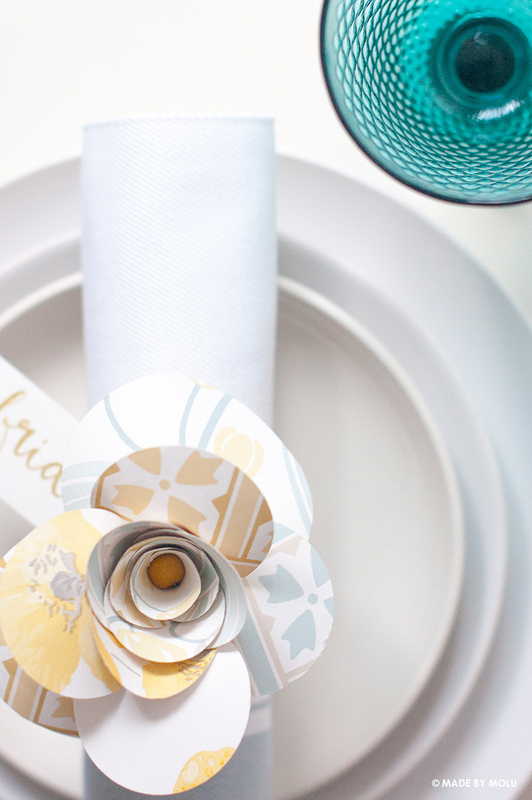 The first of my wedding tutorials is on how to go about creating these pretty floral place settings out of their wallpaper (uh huh!) which I’m so excited to reveal that it’s now LIVE on their blog. 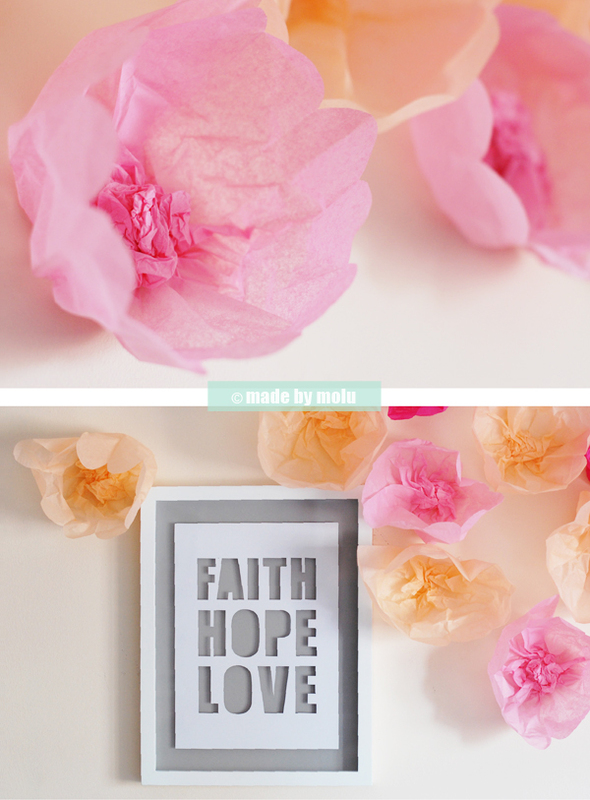 So if you fancy making these, you can find the full tutorial over here. 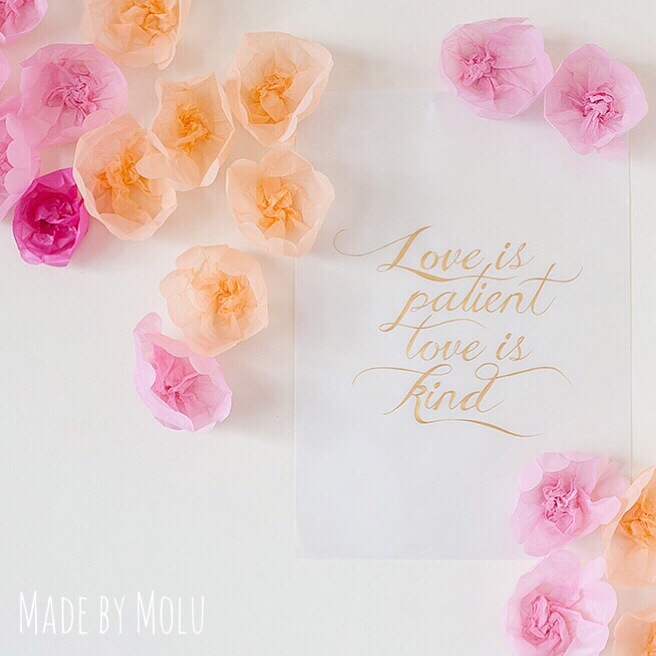 Oh and do stay tuned for more wedding DIY inspiration over the next few months and have a nosey at all the other fabulous crafty creations on there too by some other fab bloggers! Tissue paper – you can buy these in bulk on Ebay or Amazon. 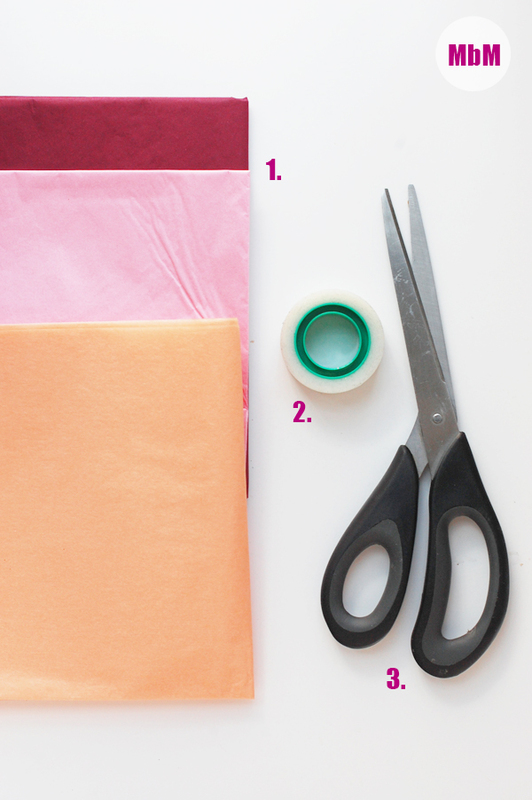 Once you’ve accordion-folded all your tissue paper, use your scissors to trim the one end into a shallow half-circle shape. This is basically to soften the edges and make them look more like petals. Now, as you unfold the tissue paper crumple up the other end of the tissue paper and then gather in the middle as you start fanning it into the form of a bloom. 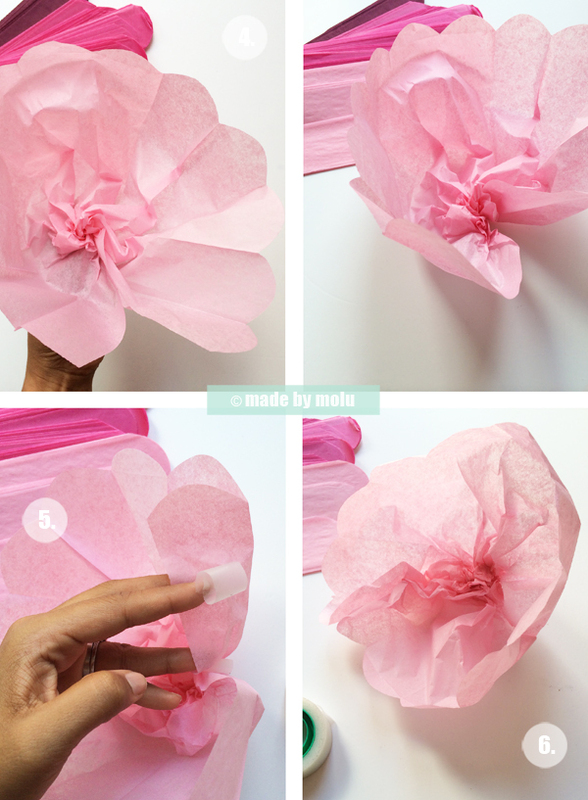 Crumple and fluff up the tissue paper bloom until you’re happy with how it looks. 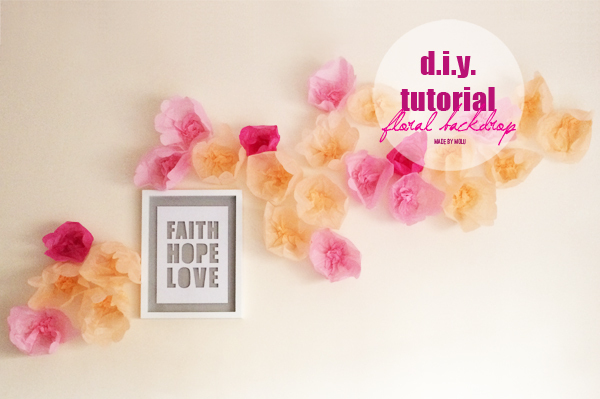 Once all your tissue flowers are made, simply add a few strips of doubled-up tape to the back of the flower (on the gathered/crumpled centre) and stick to your wall. Place them to however way you wish but keep it looking natural if possible. For a strong visual effect, I would have a concentrated area of flowers and gradually scatter it out. Obviously the more you have the more dramatic your installation looks! And that’s how it’s done folks. A fun, simple and pretty task for anyone to try, and a great way of adding pops of colour (or drama) to your homes, party or special occasion. 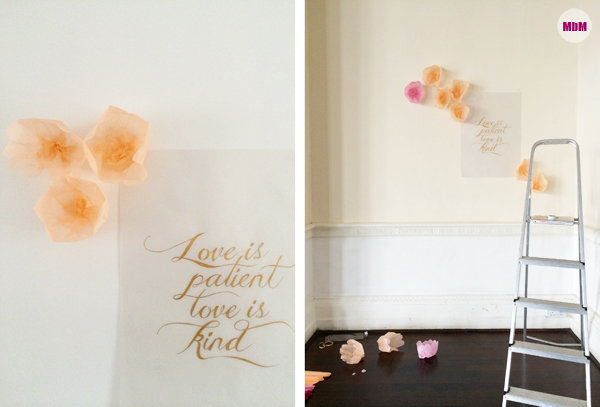 Below, are a couple of ‘behind the scenes’ photos that I had taken while I was setting up the floral installation for the wedding styled shoot I worked on back in March. You can have a nosey at some of my earlier posts on the shoot here and here if you fancy more DIY inspiration.